Although snow is still falling in some parts of Yellowstone, early wildflowers are experiencing spring fever at the lower elevations. Near my home at the North Entrance the delicate pink bitterroot (Montana's state flower) decorates the hillsides like earthly pink stars. 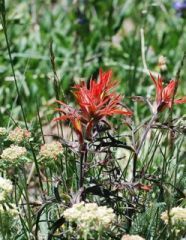 If you are interested in exploring how Yellowstone's unique geography influences its wildflowers, I recently wrote an article for the Yellowstone Association entitled "The Geology of Wildflowers." This link will give you a preview--you need to be a member to view the full article. Please consider joining and supporting a great non-profit! "With freezing temperatures possible every month in the year, and snow accounting for a large portion of the precipitation, the growing season for most of Yellowstone is brief—June through August. Additionally, the majority of Yellowstone’s terrain derives its moisture source from the melting snowpack and spring precipitation, not from summer rains—another factor shortening the growing season. Even before winter has fully retreated, the impatient marsh marigold (Caltha leptosepala) emerges from hibernation, seeking sunshine by extending its blue-tinted buds through the melting snowbanks, which blossom into showy white flowers within forty-eight hours. 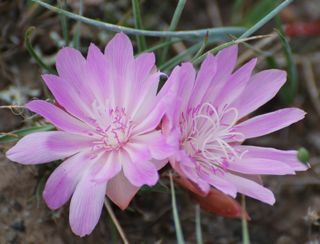 Montana’s state flower, bitterroot lewisia (Lewisia rediviva) also appears anxious for spring. As the snow recedes, the fleshy leaves sprout excitedly from the ground, followed shortly by delicate, rose-pink flowers." 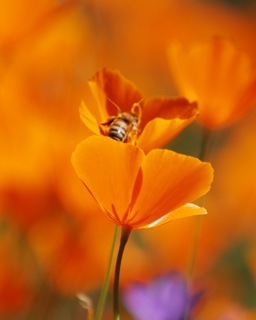 Emerson once remarked, "the earth laughs in flowers." Laughter has been abundant in the Merced River Canyon outside Yosemite this spring! 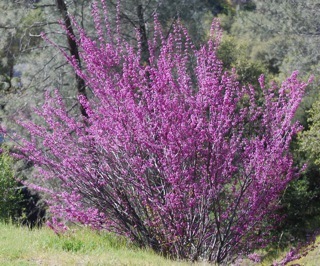 Yesterday, I strolled up the Burma Grade Road over the Merced River to observe the new wildflower arrivals for the week. Visit my photo gallery for more pictures. Yesterday I drove up Highway 140 to Yosemite and witnessed one of the most spectacular poppy blooms I've seen in my twenty years in California. 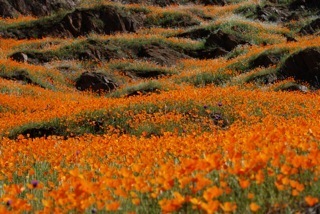 The hills radiated sunshine generated by the orange fire of the poppies. Below are a sampling of photographs as well. For more images you can visit my photo gallery. "If I could only choose one sight in the wonderland, it would be, by all means, that view from the top of Mount Washburn for you see there the entire park spread out before you in a single picture." On my drive to the trailhead, I rise over Dunraven Pass, awash with yellow flowers, and obtain a great view of the summit of Mt. Washburn. It’s original name might have been Elephant’s Back, but in 1870 the Washburn Expedition named it for General Henry Dan Washburn, leader of “one of the most important early explorations of Yellowstone,” according to Whittlesey’s Yellowstone Place Names. Dunraven Pass, 8,859 feet in elevation, bears the namesake of the First Earl of Dunraven, an Oxford educated man who was once guided in his explorations of the west by Buffalo Bill. 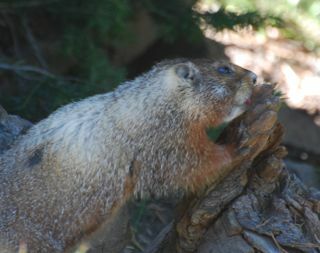 Early on my hike, I encounter a yellow-bellied marmot munching on a tree limb. As I turn a corner, I see the Lookout Tower on the summit of Washburn. I also pass bouquets of the exquisite Sky Pilot gathered among the volcanic rocks. At the top of Mt Washburn, 10,243 feet, I gaze at the spectacular 360 degree view of the park. 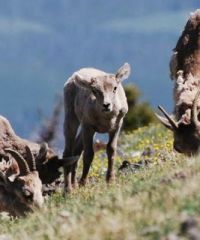 While I munch on my Luna Bar, a herd of bighorn sheep--with several lambs--join me. One bighorn ewe gazes at me inquisitively, perhaps wondering why I am munching on a chocolate bar when so many yummy grasses surround me. A lamb considers me as well, as two others graze nearby. Something catches an ewe’s attention, which turns out to be a mother and lamb running to catch up with the herd. The beginning of the trail descends through a Douglas fir forest until it reaches the Yellowstone River. A sturdy suspension bridge spans the Black Canyon of the Yellowstone, and the river underneath rushes fiercely through the rock walls, perhaps angry at being confined to so small a space. Velvety green rolling hills welcomed me once I climbed out of the river canyon, and the distinct Hellroaring Mountain dominated the landscape as I headed toward the creek. Hellroaring Mountain belongs more appropriately in my Yosemite world—it’s one of the rare peaks in the park composed of granite; indeed it’s Yellowstone’s largest granite outcropping. Most of Yellowstone’s peaks display rock formed from surface volcanic eruptions. Hellroaring Creek definitely lived up to its name. The mighty waters surged toward their destination and I was very glad I did not have to ford the creek. 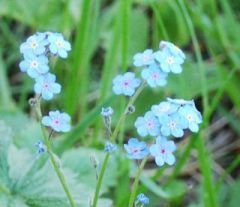 Instead, I picked a comfortable spot on the soft grass near the banks of the creek, and watched butterflies flutter from wildflower to wildflower. My footsteps carried me along a series of forests and grasslands in the Mammoth Hot Springs area that passed by several small beaver ponds. Although I was not lucky enough to see beavers, I did observe their handiwork of impressive dams. 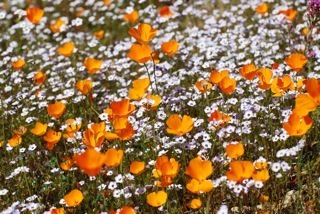 The wildflowers dared to blossom today, perhaps finally sensing the end of winter (I hope!) 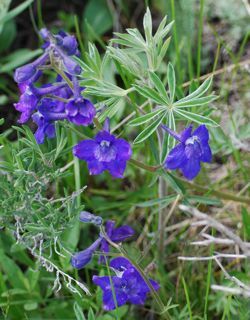 and I encountered larkspur, primrose, balsamroot, woodland star, and many other colorful flowers I could not name. I have to admit to using my friend Jack's Laws Field Guide to the Sierra Nevada to help identify some species--his book is just easier to use and I never tire at looking at his beautiful illustrations. A mother duck and her ducklings paddled along the water on one pond. I also found some large wolf tracks, but saw no wolves. Two mule deer munched on grass in a small forested alcove, and clark's nutcrackers loudly alerted me to their whereabouts. In one of those “it’s a small world encounters,” a family stopped me on the trail to alert me about a bear and her two cubs playing ahead; the family turned out to be Chip and Laurie Jenkins and their two boys, who I worked with in Yosemite. Last week at the new Canyon Visitor Center, I met a past employee of mine from Yosemite as I gazed at the wonderful new exhibits. In the national park community, it truly is a small world. At the end of my hike, I stopped quickly as this incredibly long snake slithered across the trail. At first I though it was the biggest rattlesnake I had ever seen, but I later found out from my guidebook this is a common mistake. I had encountered pituophis catenifer sayi (common name bull snake), Yellowstone’s largest reptile, which can grow up to six feet.